Are you tired of being overlooked? Are you ready to move up the ladder and impress the world? 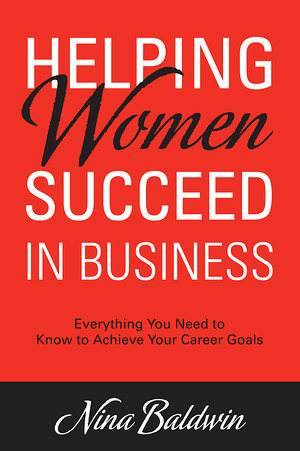 Then join Nina Baldwin as she reveals what you must know to succeed in the business world. As a COO in major restaurant franchises, she has worked with everyone from presidents to waiters; she’s seen the good, the bad, and the ugly of business, and now she offers practical and pertinent advice based on her personal experiences. •	Why women interview like they date. •	How to fake it till you make it. •	Why networking is so important. •	What men really think about their flirty assistants. •	How to mentor and lift up other women. •	How to be an asset to your company. •	The No Surprises and Twenty-Four Hour Rules. •	How to get out of making the coffee for the men. Whether you’re starting to climb the corporate ladder or you feel stuck on a rung, Helping Women Succeed In Business will make you realize the sky’s the limit in your career and life.